“I want to buy a laptop for my father at a reasonable price. Let’s go to HyperCity and check out the new Samsung N120 or Gateway Laptops.” said Swapnil Ingle a resident of Borivali, Mumbai. This is the same person, who used to work with Transworks Computer systems in Lamington road and assemble PCs for other customers back in 2001. Now he is a business executive who helps his dad in an MLM sales company and needs a laptop for the very same reason. I ask myself a very simple question. For a person who may have known the ins and outs of the traditional reseller / assembler market and has been back and forth at Lamington Road in Mumbai, why would he want to buy products for himself through LFR (Large Format Retail) stores? Is this a dawn of a new era? Are LFR pushing back conventional resellers/assemblers? Way back in 2001 when assembled computers were a trend and resellers and assemblers ruled the market, consumers had very tedious task of running around to fetch quotations from different assemblers. With an AMC and sure shot service near your home, buying a computer / laptop from a dealer around the corner rather was more convenient than a branded Compaq Presario or an HP Laptop. Those were the times when profit margins were based on the whims and fancies of each reseller / assembler and that was the boom for the industry. As shown in the recently released movie, ‘Rocket Singh – Salesman of the Year’ it all boiled down to the competition between local dealers and assemblers. They could decide on the prices as well as service that they need to provide to the consumers and corporations alike. All these aspects were completely controlled by companies like AYS and Rocket Corp. as shown in the movie. Branded laptops and desktops were a bane because of the lack of after sales service or proper branding and accessibility in itself. The only names in Laptops and Notebooks we heard back then were IBM, Gateway, HP and Toshiba. The availability of service centers was also a huge problem while going in for a branded laptop/ desktops. In addition, the prices were skyrocket high, who is to blame with the demand being so low? Enter 2010, the scenario has completely changed. Desktops are outdated. Every other person you know has a laptop / netbook, that too bought from either HyperCity, Ezone, Big Bazaar or Vijay Sales. There has been a plethora of Malls in and around metropolitan cities like Mumbai, New Delhi, Gurgaon or Bangalore for that matter. This has given the companies like, IBM, HP, and Compaq, Lenovo etc to display their products and reach masses thanks to ‘Windows Shopping’ pun intended. There are many benefits that LFR stores have come up with as opposed to the conventional resellers or assemblers back in 2001. Many people in today’s age visit shopping malls almost every day. Awareness of notebooks, laptops and netbooks such as Acer, Sony, IBM, HP, Lenovo, Compaq, are more evident thanks to these large format retail stores. Besides seeing the netbooks in advertisements of size zero Sony Vaio by Kareena Kapoor we get the option of actually feeling the products and taking them for a test drive only at stores such as these. Add to that companies such as Gateway and Wipro who have recently hit the market with their sleek series of notebooks and netbooks get a broad platform to display themselves more effectively. Today an LFR store is not just an outlet to go and buy a Laptop of our choice but also a haven for Geeks and gadget lovers alone to check out and keep themselves abreast of all the latest notebooks, gadgets that are raging a fire in the market. To add to that many LFR stores have tie-ups with financing companies and provide with instant loans with executives present to guide each consumer right down to the tee. “I would feel more secure and trust the genuineness of the product more in an LFR as opposed to a conventional reseller / assembler especially when it comes to software and Operating systems.” Swapnil says, as he had been a part of the industry a while ago. To add to that he says that LFR stores have a good amount of freebies and offers that go along with the sale of notebooks on display that make for a very lucrative offer for us to buy the products from them. 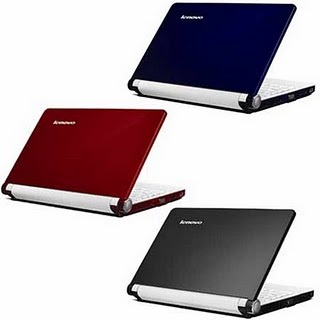 However, the most important aspect that LFR chains have brought to light is the actual feel of shopping for a netbook / laptop to be able to touch and check out the configuration before going in for a particular product. With the boom of LFR, stores selling netbooks of compact sizes every consumer will get an option of trying out variety before actually getting himself a sleek and stylish model. "The large format retail chains have emerged as an additional sales channel for us to reach customers," said Ms Shuchi Sarkar, Head Marketing, Personal Systems Group, HP India. However, HP India has not been seriously tracking the sales through such retail chains, Ms Sarkar said, adding that it was too early to comment on the potential. Currently, for Acer, sales through organized retail chains account for a fraction of its overall India sales, said Mr. S. Rajendran, GM Sales and Marketing, Mobility Display Products Group, Acer India. With everything going wireless and compact in today’s age as shown on a TV show Netguru, Swapnil says there would be a time where PCs or desktop computers would be outdated just as the 386,486 or P1s. Every other kid on the block would carry a compact, portable netbook not even a Laptop for that matter. We await an era where netbooks would be just as common as mobile phones in this country and that day is not far away.